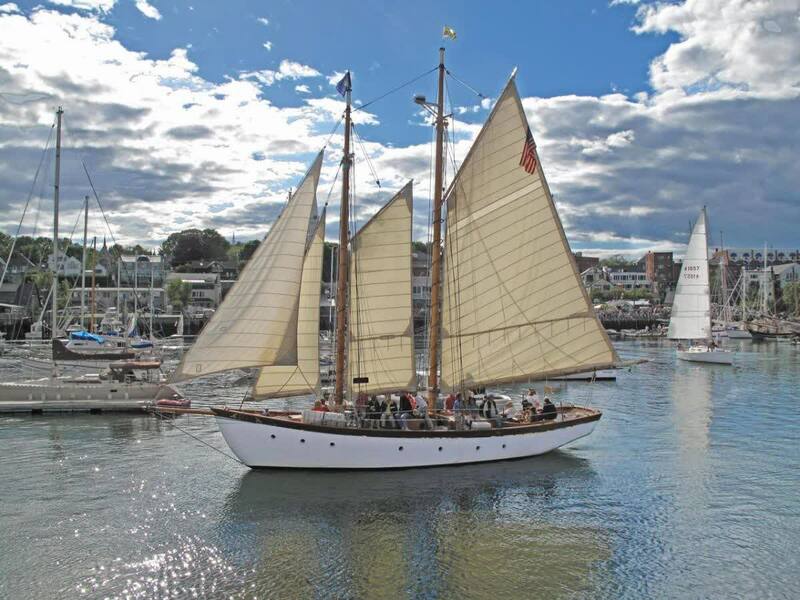 We have two amazing ships in our Camden, Maine fleet: the Schooner Olad and the Sailing Vessel Owl! A sail aboard either of these boats will be a very enjoyable and unique experience. However, in addition to the physical differences between the boats there are some differences in the kind of trip that each one offers. The Schooner Olad is our larger vessel with a carrying capacity of 22 passengers. The Olad provides you with the perfect opportunity to get out on the water with a group of friends or family. 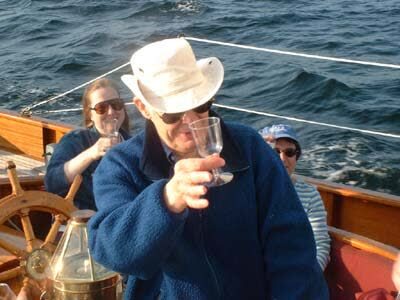 Come sail the beautiful Penobscot Bay and enjoy each others company. The Olad is also a wonderful place to hold special events or gatherings such as family reunions, wedding receptions, business meetings, etc. 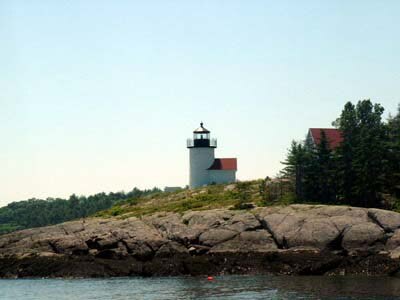 The Schooner Olad offers two-hour, half-day, and full-day charters. 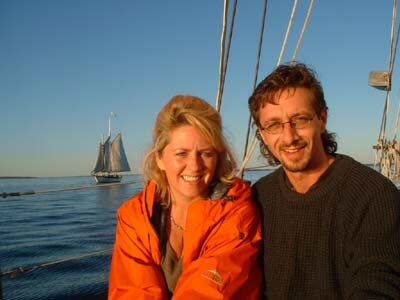 If you are looking for a smaller, more private trip then join us aboard the Sailing Vessel Owl. The Owl holds up to 6 passengers and is the perfect place for imitate gatherings of friends and family. The Owl also offers two-hour, four-hour, six-hour, or full-day charters in addition to several specialty charters. 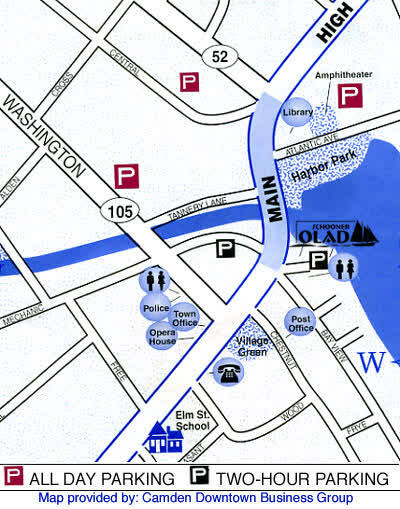 You can park along the downtown streets or at the Public Landing, but all parking is two-hour parking and you may get a $10 ticket. We suggest that you park at one of the two all-day parking lots. One is located on Washington Street just past the fire station on the right. The other is on Atlantic Avenue just past the Camden Public Library, on the left. Both are at no cost to you and are within walking distance (see map). 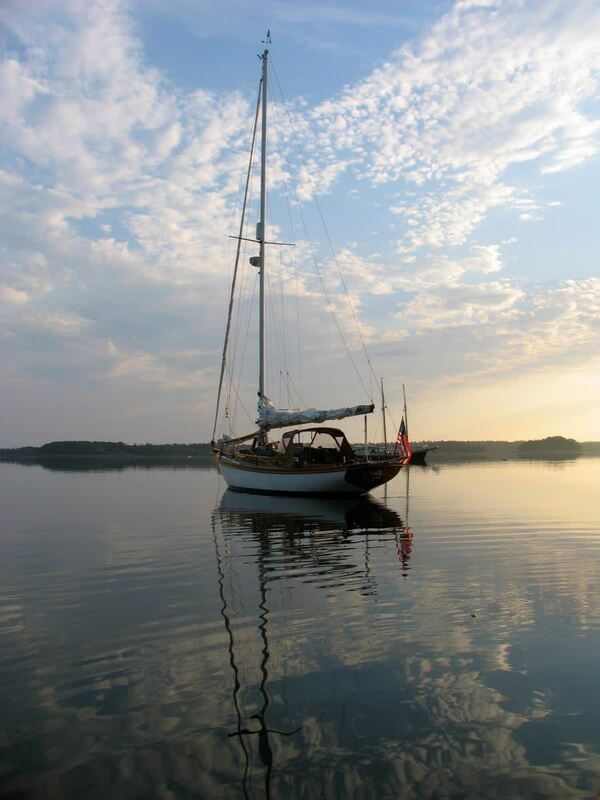 We will give a complete refund in the event of poor weather or unsafe conditions at the time of sail. Also, we will give you a refund if you cancel with one week notice for a regular sail and two weeks notice for a private charter. 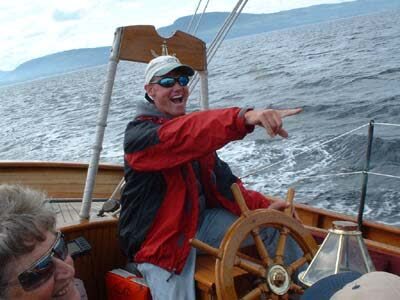 There are no refunds for cancellations received less than one week before date of your regualar sail, two weeks before your private charter, and there are no refunds if you miss your sail.